ASBRI GOLF BALL PICK UP/RETRIEVER FITS ALL PUTTERS - Genuine product not a copy! By extending the pole to the desired length you can quickly and simply scoop up your ball without any accidents. The clever design prevents the ball from being dropped on retrieval. 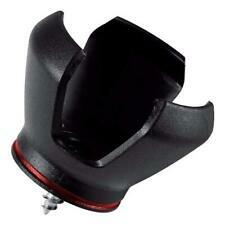 Simple to use, fits on any golf putter grip. This Golf Ball Pick Up Tool allows a golfer to retrieve a ball without bending down. 1 x Golf Ball Pick Up Claw Sucker. Novelly designed in four prongs, easy and quickly pick the ball with accuracy. 2 x Golf Ball Pick Up Claw Sucker. This Golf Ball Pick Up Tool allows a golfer to retrieve a ball without bending down. 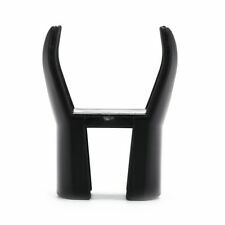 Novelly designed in four prongs, easy and quickly pick the ball with accuracy. No need to bend over to retrieve your ball any more. 1 Golf Ball Retriever. Color: Handle and Scoop black, Shaft silver. Scoop depth: Approx 4.5cm. Stainless steel shaft, light weight and strong. The automatic locking device prevents the ball from being dropped on retrieval. Fits at the end of your putter grip. and the ball will stick to the putter sucker. Simply press it on the ball when it goes in the hole. No need to bend down to get the ball out of the hole. 1 X Golf Ball Pick up. 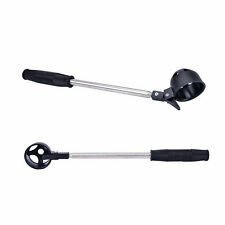 I GOTCHA 10 ft (environ 3.05 m) Extension Golf Ball Retriever/les #1 Ball Retriever en GOLF!!! I GOTCHA 10FT EXTENDING GOLF BALL RETRIEVER. THE #1 BALL RETRIEVER IN GOLF ! Our philosophy is very simple - GREAT SERVICE / GREAT PRICE. All goods remain the property of HOTGOLF LTD until paid for in full. This Golf Ball Pick Up Tool allows a golfer to retrieve a ball without bending down. 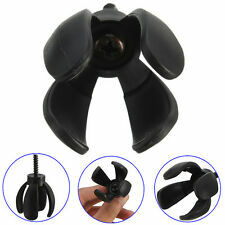 1 x Golf Ball Pick Up Claw Sucker. Novelly designed in four prongs, easy and quickly pick the ball with accuracy. Simple to use, fits on any golf putter grip. Callaway 6 ft (environ 1.83 m) Deluxe Extension Golf Ball Retriever-ne jamais perdre une balle!!! GOLF BALL RETRIEVER. GENUINE CALLAWAY. 6' DELUXE EXTENDING. GREAT GOLF GIFT !! Our philosophy is very simple - GREAT SERVICE / GREAT PRICE. All goods remain the property of HOTGOLF LTD until paid for in full. Simply press it on the ball when it goes in the hole and the ball will stick to the putter sucker. Fits at the end of your putter grip. No need to bend down to get the ball out of the hole. Protect the golfer's waist and knees. I GOTCHA,Executive XL Model. # 1 Ball Retriever. Hides in your golf bag. Giving you around a 14 foot reach. Zone D -HS, IV41-IV49, IV51-IV56,KA27-KA28, KW15-KW17, PA20, PA41-PA49, PA60-PA78, PH42-PH44, ZE, IM (isle of Man), Channel Islands. 40 USED GOLF BALLS IN TUBE. BUT MAINLY FOR PRACTICE. NEED A LARGE BOX FOR THE TUBE. STARTING PRICE IS JUST 3.95. 1 x Golf Ball Pick Up Claw Sucker. Simple to use, fits on any golf putter grip. This Golf Ball Pick Up Tool allows a golfer to retrieve a ball without bending down. Novelly designed in four prongs, easy and quickly pick the ball with accuracy. Easily retrieves golf ball from the cup. 2 x Golf Ball Pick Up. 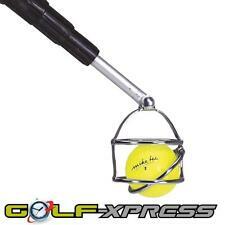 Why buy just a Ball Retriever when you can get a multifunctional tool for less. a New Multi-functional Golf Accessory Tool That combines a 10 Foot Golf Ball Retriever and a Portable Club Stand All in one. Baseball & Softball. Find your lost ball and put it back in play. Great gift idea for any level of golfer. Hand Grippers. Fitness Outdoors Running Team Sports Apparel Boxing & MMA. Choose Your Category. 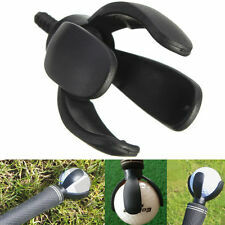 The Original Bag Shag Golf Accessory Ball Pick Up Retriever. I would be happy to attempt to resolve the issue. This is in great used condition and does the trick on the green. Simply press it on the ball when it goes in the hole and the ball will stick to the putter sucker. Fits at the end of your putter grip. No need to bend down to get the ball out of the hole. Color: Black. This ball shagger will hold 23 golf balls. Chip, putt, repeat! Never bend over. The Practice Stick Shag Tube is the first golf ball shag designed to fit inside your golf bag, unlike conventional shag bags, right along with your clubs. Model: Pro Caddie Golf Ball Retriever. Collects and holds 35 golf balls. Golf ball retriever une paire de 18ft ou 12ft ou un de chaque métal retriever. "nouveau"
Simply place retriever head over ball and turn to scoop. Baseball & Softball. Fits easily in the side pocket of most golf bags. Patented head design makes it easy to scoop up ball and hold in place. Hand Grippers. Specifically engineered to retrieve your golf ball after a putt has been made. Simple to use, it fits on any golf putter grip. 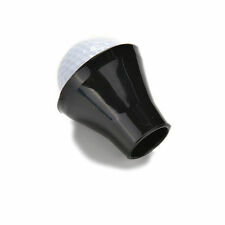 Type: Golf Ball Pick Up Tool. 1 x Golf Ball Pick Up Tool. No longer have to bend over to retrieve your ball. Featuring a durable construction, this ball retriever will pick up golf balls with ease and securely trap the ball without dropping it. This handy retriever will speed up any round of golf and is great for golfers who want to avoid any unnecessary back or hand strain. Spring Loaded 'Gotcha' golf ball retrievers have been around for a while, but until now they required that you retract them to release your golf ball and manually reset the "mouse trap" for the next victim. Per Drehbewegung auf jede Länge justierbar. sehr robuste Konstruktion trotz geringen Gewichts (ca. 350 g). Ihr verlängerter Arm auf dem Golfplatz. Länge: ca. 108 cm, ausziehbar auf ca. 274 cm. Sie werden sich wundern wie schnell Sie einen Golfball geangelt haben, und vor allen Dingen wie viel Spaß das Golfball-Keschern mit diesem Wasserballaufheber macht. Füße zu nass?. Denn jetzt ist das Ballangeln ein Kinderspiel. Just give us a call about anything that you don't see on our website. New Arrivals. - New Arrivals. Quick Links. Lightweight and compact and perfect for keeping in your golf bag. You can quickly and simply scoop up your ball without any accidents! Masters Golf. When in closed position it is so compact it will free up space in your golf bag. JP Lann Golf Ball Retriever. Easy Flip Hinged Ball Cup for Easy Retrieval. Reaches up to 18'. The one-ball retriever works by placing the head behind the golf ball and then pulling and lifting. The steel wire cage holds the golf ball in place. The search and rescue line of retrievers are assembled by jtd Enterprises is one of the highest quality golf ball retriever lines in the market. Vintage Go-Getter Golf Ball Retriever blue metal extendable 116"
EZT/Tee off with NO bending/replace Divets/retrieve Golf Ball/ Golf Assistant! !